August 30 is Ernest Rutherford’s birthday. 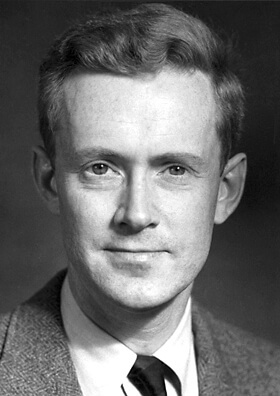 Rutherford is the New Zealand-born British physicist who is considered the Father of Nuclear Physics. Rutherford is directly responsible for a number of important discoveries involving the study of nuclear science and radioactivity. He was the first to outline the rules governing radioactive decay and how it involved changes from one element to another in the case of alpha and beta decay. He also came up with the terms alpha, beta, and gamma radiation. He identified alpha radiation was identical to a helium nucleus. Rutherford identified the concept of the half-life of a radioactive substance half of any amount of the substance took the same amount of time to decay. He showed that the nucleus of an atom is a dense, positively charged object. He coined the term proton for the positively charged part of the atom’s nucleus. 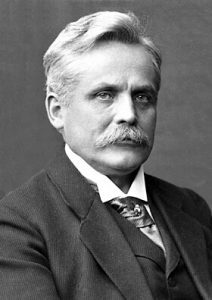 Rutherford was awarded the 1908 Nobel Prize in Chemistry for his investigations into the disintegration of elements and the chemistry of radioactive substances. He very nearly had to give up physics after graduation. His undergraduate degree was a Bachelor of Arts in Pure Mathematics, Latin, Applied Mathematics, English, French, and Physics. He continued his studies into physics and mathematics and concentrated on the study of electricity and magnetism and earned his Master of Arts. After all this study, he found finding a permanent job difficult in New Zealand as a physicist or a school teacher. He knew a scholarship was generally available to study in an English school every other year. He decided to return to school and try for this scholarship. He considered returning to study medicine but instead chose chemistry. When the scholarship became available, Rutherford was one of two candidates up for selection. He was not the one the University chose. Fortunately for him, the one that was chosen could not accept and Rutherford got the scholarship. This scholarship took him to Cambridge under J. J. Thompson at the Cavendish Laboratory. He was given the task of experimenting with radio wave transmission in gases. He managed to detect radio waves over a distance of half a mile which was the record for a brief time before Marconi heralded in radio. After Henri Becquerel and the Curies announced their discoveries of radiation, he shifted his focus to this new field. This would be the beginning of the many important discoveries mentioned earlier. Rutherford was a mentor to many important names of nuclear physics. One was James Chadwick, who won the Nobel Prize in Physics in 1935 for discovering the neutron which Rutherford had predicted to exist. Another was Niels Bohr, who won the Nobel Prize in Physics in 1922 for the theory of how electrons orbited Rutherford’s nucleus. Henry Moseley, who established atomic numbers identify an element, John Cockroft and Ernest Walton, the team that built the first high energy accelerator, Robert Oppenheimer, later to be known as the father of the atomic bomb, and Hans Geiger, inventor of the Geiger tube to detect radiation all worked under Rutherford’s direction at Cambridge. 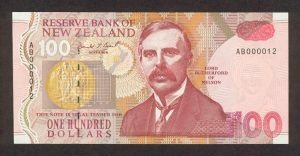 Rutherford is a national hero in his native New Zealand where his likeness is on the $100 note. Element 104 is named rutherfordium in his honor. 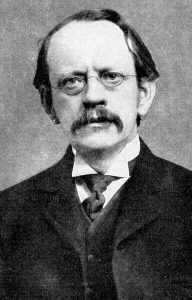 1940 – Joseph John Thomson died. Thomson was a British physicist who was awarded the 1906 Nobel Prize in Physics for his work involving the conduction of electricity in gases. He is best known for the discovery of the electron. He studied the electric discharge of a cathode ray tube and believed it was made up of particles where most scientists believed emitted cathode rays. Thomson calculated these bodies had a large charge to mass ratio and he estimated the value of the charge itself. In 1904, Thomson proposed a model of the atom as a sphere of positive matter with negative electrons positioned based on electrostatic forces. 1928 – Wilhelm Wien died. Wien was a German physicist who was awarded the 1911 Nobel Prize in Physics for his laws involving the radiation of heat.He determined a blackbody curve at any temperature is determined from the blackbody curve at any other temperature by displacing the wavelength of the emission energy. This is known as Wien’s displacement law. He determined a blackbody curve at any temperature is determined from the blackbody curve at any other temperature by displacing the wavelength of the emission energy. The peak of this curve is inversely proportional to the absolute temperature of the radiating body. This is known as Wien’s displacement law. Hilleman was an American biologist who developed more vaccines than any other single scientist. Eight of the fourteen current routine vaccinations were developed by him: measles, mumps, hepatitis A, hepatitis B, chickenpox, meningitis, pneumonia and Haemophilus influenzae bacteria. He has been credited as the scientist who has saved the most lives in the 20th century. 1912 – Edward Mills Purcell was born. Purcell was an American physicist who shares the 1952 Nobel Prize in Physics with Felix Bloch for their independent discovery of nuclear magnetic resonance (NMR). Purcell and Harold Ewen were the first to observe the 21-centimeter line of hydrogen in space which revealed the spiral structure of the Milky Way galaxy. 1907 – John William Mauchly was born. 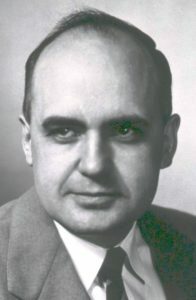 Mauchly was an American engineer who, with J. Presper Eckert, invented the first general purpose electronic computer ENIAC (Electronic Numerical Integrator And Computer). The computer was built for the United States Army to calculate ballistic trajectories. The two men formed the first computer company, the Eckert-Mauchly Computer Corporation (EMCC). They would design the EDVAC (Electronic Discrete Variable Automatic Computer), BINAC (BINary Automatic Computer), and UNIVAC (UNIVersal Automatic Computer) computers that helped launch the electronic computer industry. 1884 – Theodor H.E. Svedberg was born. 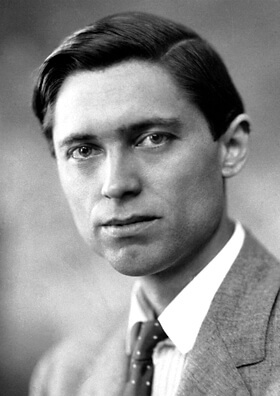 Svedberg was a Swedish chemist who was awarded the 1926 Nobel Prize in Chemistry for his work with colloids. Colloids are homogeneous mixtures in which the dispersed particles do not settle out such as milk, paint, or smoke. He also invented the ultracentrifuge to separate colloids using centrifugal force. In the study of colloids and centrifuges, the SI unit of svedberg is named in his honor and is equal to 10-13 seconds. 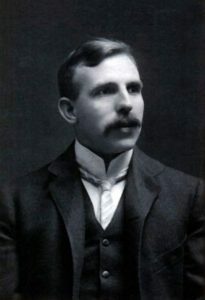 1871 – Ernest Rutherford was born. 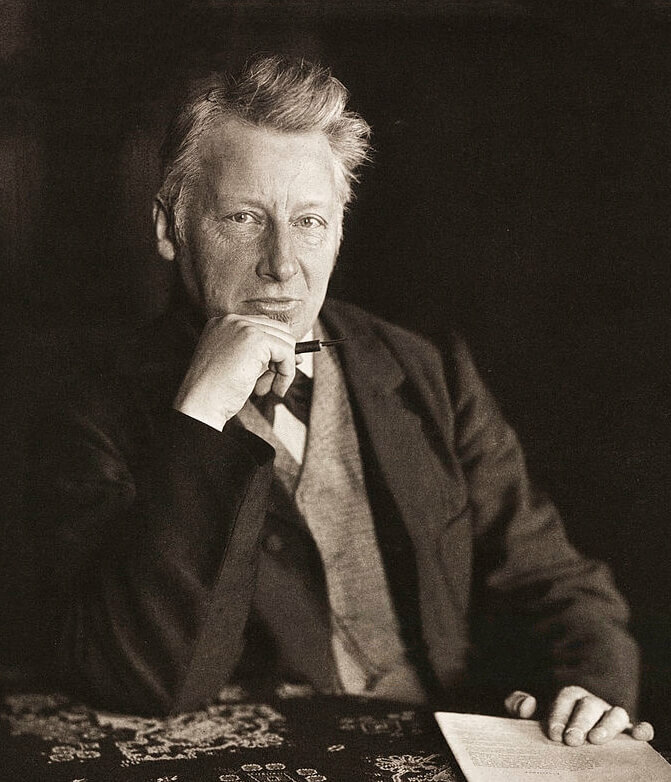 1852 – Jacobus Henricus van’t Hoff was born. Van’t Hoff was a Dutch chemist who was awarded the first Nobel Prize in Chemistry in 1901 for his discovery of the laws of chemical dynamics and osmotic pressure in solutions. He also demonstrated that some isomers of carbon atoms structures could be explained if the four valence electrons arranged themselves into a tetrahedron. His work on solutions showed dilute solutions follow the same mathematical properties describing gases.